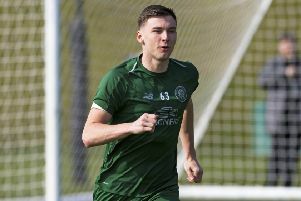 Former Celtic striker Frank McAvennie believes the prospect of being part of history will keep Kieran Tierney at Parkhead for at least another two years. McAvennie, pictured, is convinced that, with an eighth successive championship all but nailed on, the prospect of establishing a Scottish record by winning ten in a row will see Tierney stay until at least 2021. “You listen to KT and he’s a big Celtic fan, so doing ten is the be-all and end-all for him,” he said. 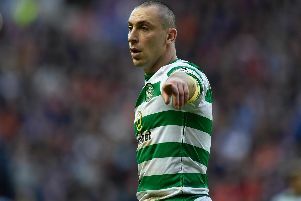 “I’d love to see Kieran stay for ten but , if a big offer comes in, he’s a wonderful player and deserves to play in the best league in the world. Although he comes from a family steeped in Celtic folklore, McAvennie accepts a move away is inevitable. “The boy’s head will be turned because he will look at Andy Robertson, another Scottish left-back, in a Champions League final and it’s a toss-up between them who is better,” he said. “If Tierney goes down to England he will improve because he’d playing every week against the best players. I think he could go to Manchester United.